Ready to Start Planning your Next Summer Adventure? Planning your next summer adventure can be quite tricky and we completely understand! This is why we, USA Summer Camp, are here to save the day. From getting you on to the program, helping you bag your summer job, and sending you to America, we are here every step of the way. Unsure why we’re the best? 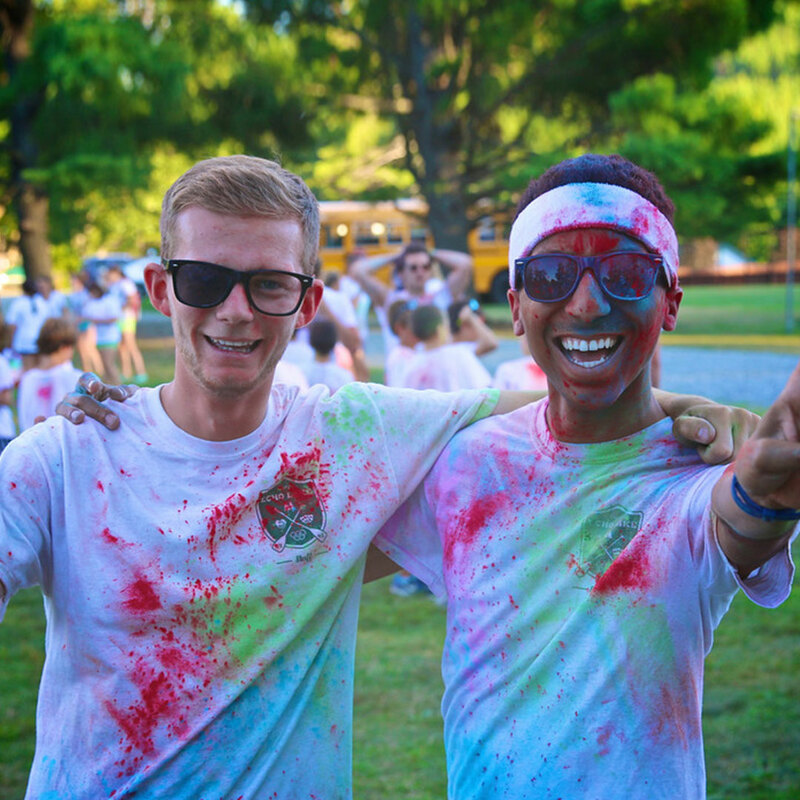 Here are nine perks to choosing USA Summer Camp for the summer of your life. Over the last five years with our America team, we’ve found 100% of our applicants their perfect summer job. (Woo, go us!) We’re on track to do the same this year. If you want to go to Summer Camp, we can get you there! 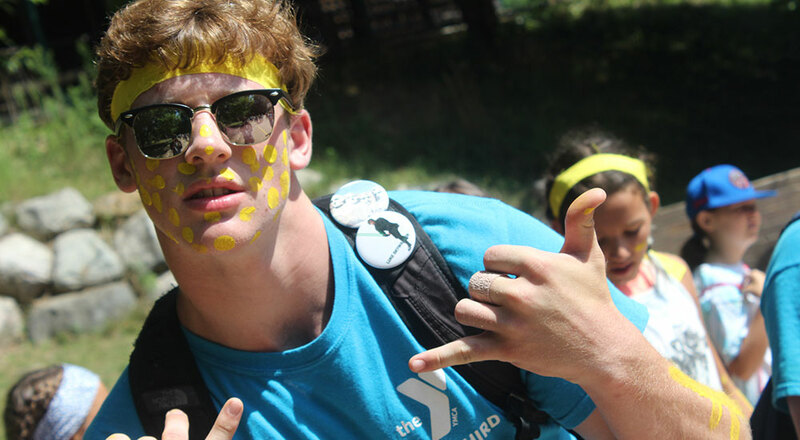 We work with over 600 Summer Camps in America and all of these amazing (like, seriously amazing) camps are looking for staff like you. Our camps are based in almost every state so you could literally end up anywhere! Summer in LA? Yes, please! We know that you’re busy at work and uni, we totally get it. This is why our office hours are 9 am – 7 pm Monday to Thursday and 9 am – 3:30 pm on Friday so you can ring us after you finish work or uni! Don’t worry, we’ve got your back. We do really know our stuff. We’ve been around since 2007 and everybody in the office has either been or is going to camp this summer. We’ve been in your shoes, we understand what you’re going through! 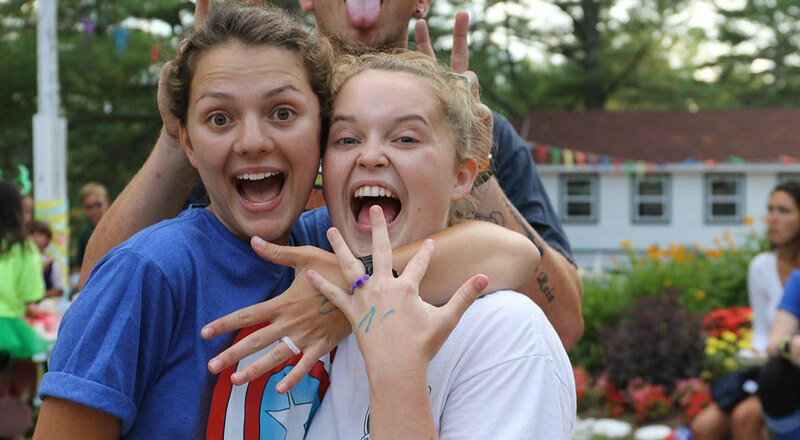 Going to camp can be an exciting and a scary decision, but with choosing USA Summer Camp, it’ll be a breeze. With over 40 combined summer experiences, we really are the Summer Camp experts, trust us! Flights or No Flights? You Choose! Whether you want to sort out your own travels or let us do all the hard work for you, it’s completely up to you. Many of our applicants choose flights included if they’ve never arranged international flights before and would prefer it to be a bit more hassle-free. Where else can you get a flight to America sorted for you for just £250 extra? We offer two different flight options to suit your travel plans so travelling with us is simple! We know that the J1 visa and insurance can very confusing, especially if it’s your first time going to camp. We arrange and send you your visa paperwork so you don’t need to worry! We also offer loads of Visa support so if you’re ever stuck, we’ve got you. Even when you’re away in America, we have a 24/7 US team who are there to help you. We’re there with you every step of the way. One of the most important parts, salary (oh, yea!). 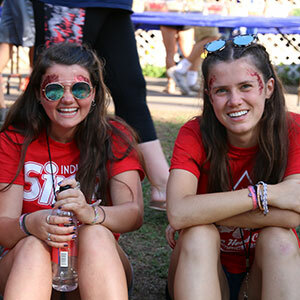 How much you get paid depends on your experience, age, camp, flights and job role, but with choosing USA Summer Camp, you’ll get paid the best salary for your hard work at camp. We have an incredible team of interviewers across the country. They’re there to help you make your profile perfect and get you ready to be put out in front of camps. They’re honestly lifesavers. We’re flexible when it comes to paying for your trip to the US! You won’t need to pay in a big lump sum and you can pay in a way that’s best for you. You can thank us later. Sounds good, right? We have hundreds of Summer Camps hiring right now. Let’s get you to America this summer. If you would like to get your summer adventure started with us, apply here! Jess is the Marketing Executive at USA Summer Camp. 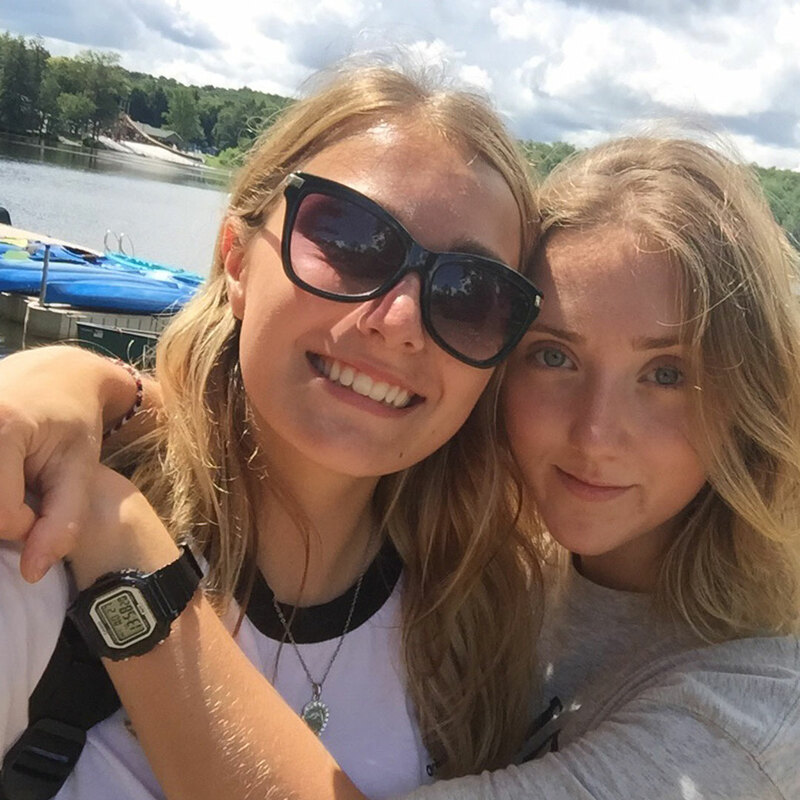 She has just completed her first summer at Camp IHC and cannot wait to show everyone how great Summer Camp really is. It's time to meet the one and only, Chloe! 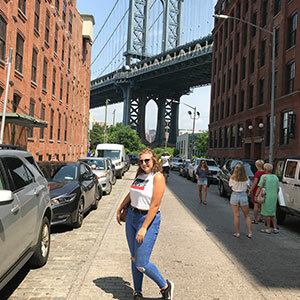 She apart of our UK office and her mission is to make sure you have the BEST summer. Unsure what a Summer Camp game day really is? Don't worry, we're here to make sure you're super prepared for the events of the summer. Trying to save up for the trip of a lifetime can be hard. We totally get it, but don't worry, the USASC team are here with some tips and tricks! This is my first season in the office! I help all our applicants on their journey to head out to Camp from making sure profiles are completed, documents are in and helping get everything prepared for their departure to the States. I also visit universities to meet our applicants and hold information stands and presentations. My favourite memory has to be attending our Dublin Job Fair in January. This was my first job fair and was the best experience. I loved helping and meeting our Irish Applicants and it was such a rewarding feeling seeing applicants so excited when they got placed at Camps! It was also fun to get to meet so many of the amazing Camp’s that we work with. It has to be Cancun, Mexico! I’ve visited here with my family 3 times and each time we have been able to do so many different things such as swim with Dolphins, Flyboard and release baby Turtles back into the ocean. Everything about Cancun is beautiful from the weather, beaches, food and scenery. Visiting here is definitely a must! I’m hoping to head out to camp next summer! Working in the office has shown me what I’ve missed out on all these years not going to camp. If I could turn back time I would have headed out to camp for my first summer as soon as I turned 18! Meeting friends for life, having fun all day long, and learning new things about yourself! It is such a unique and rewarding experience heading out to camp. It also looks amazing on your CV and to future employers as you will learn so many transferable skills over the summer. A huge benefit is also getting 30 days after to travel around the States. 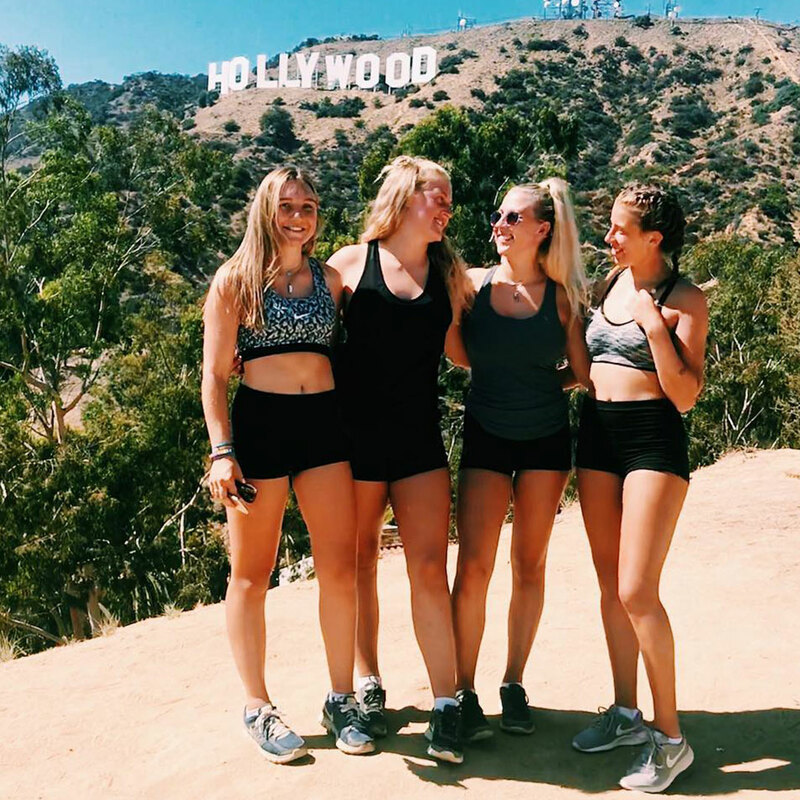 Travelling is the perfect way to end summer with your besties from camp in a State that you have always dreamed of visiting. I have been very lucky to visit New York, Miami, and Florida! I loved each place for so many different reasons. But my all-time favourite place EVER has to be New York. I visited here in 2012 and in February this year; I just love the busy atmosphere of the city and how everywhere you walk reminds you of a movie. The food and shopping are also amazing- especially Sephora and the Hershey’s store. If I could live here I definitely would! Want to Find Out More About Summer Camp? Apply Here! Unsure what a Summer Camp game day is? 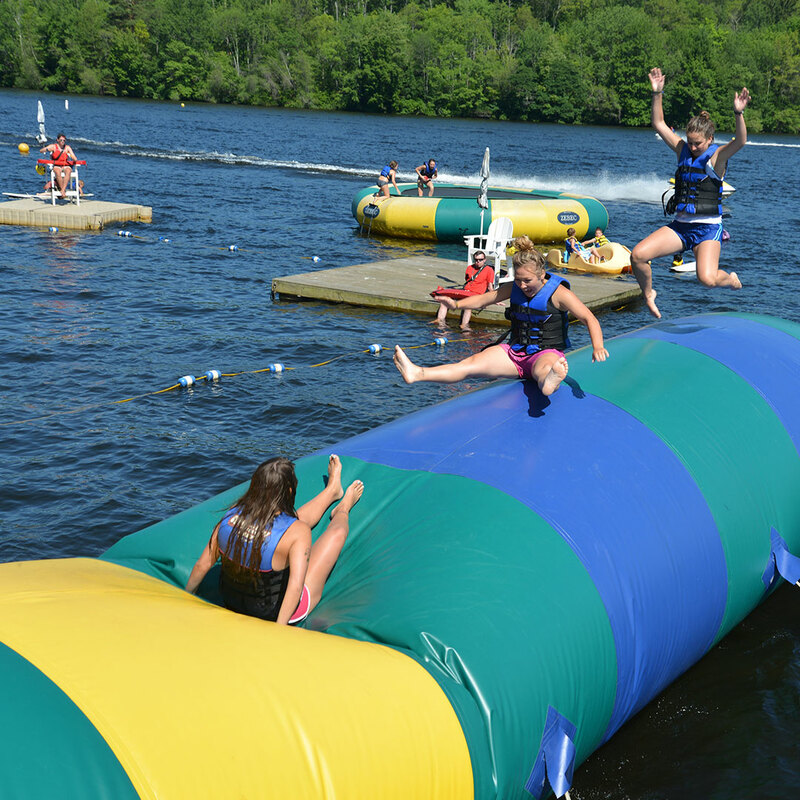 When you get to camp, you’ll soon realise Summer Camp game days are EVERYTHING. The campers live for these events and stock up on accessories, face paint, and outfits to get into the camp spirit. Don’t think you’re the competitive type? Think again! Game days can get intense, but don’t worry, we’re here to make sure you’re super prepared for the events of the summer. Keep reading to find out how to smash and win game days at camp! 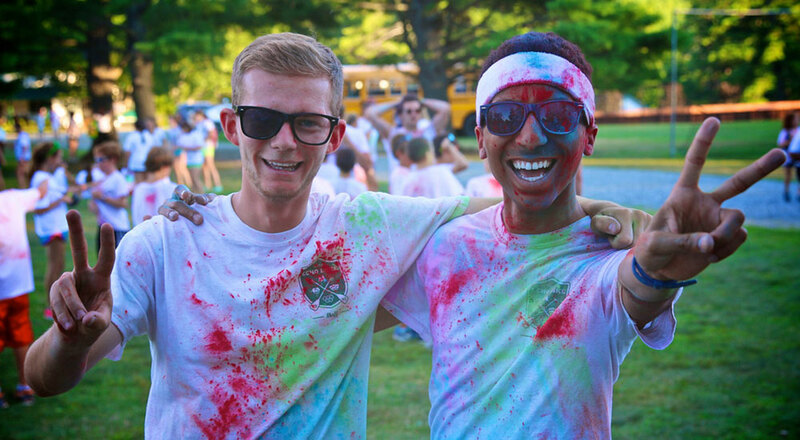 Colour War is one of the most famous Summer Camp Game day across America. Split into teams with fellow counselors and campers for some serious games of tug of war, sports, capture the flag and more! The campers will put their ALL into these games so this is your time to show the rest of camp what you’re really made of. Top tip, you won’t know which colour team you will be on until you get to camp. Prepare and bring as many different colour tees or stock up on your visit to Walmart. There’s nothing better than standing with your team members all kitted out in your colour, representin’ the team. GO TEAM BLUE! Camp Carnival is a little treat game day for the campers to let loose and have fun! There’s Carnival games, bouncy castles, and LOADS of food. You’ll never get hungry as popcorn, sweets, candy floss and chocolate are to be seen everywhere. Depending on your camp, you’ll be able to go on the rides with your campers and really act like a big kid again. As well as all the rides and food, you can even get married at one of the Carnival stools. Fake marry your BFF Camp Counselor and live happily ever after. This is the game day that the older campers and counselors prepare for throughout their Summer Camp years. A couple of days before the event, the rope is soaked in water to make sure it’s extremely hard to burn. 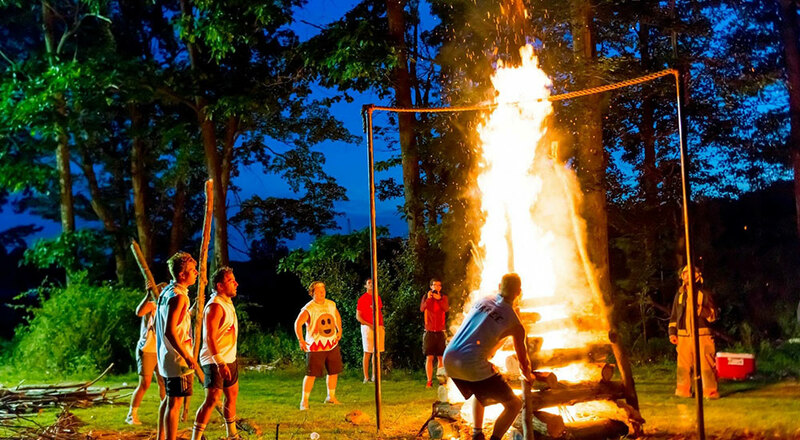 When the event starts, counselors and campers are required to start a fire and build it tall enough to reach the rope. The atmosphere is crazy and everybody screams, sings, and chants for their team. Finally, when the rope breaks, everybody goes absolutely crazy. It’s definitely something you’ll never forget. Make The Most of Your 30 Days! We know the feeling of seeing an amazing trip, but not being able to afford it. Worst feeling ever. Whether you’re wanting to go to Summer Camp for the first time or looking at doing the ultimate Trek America trip after camp, it can be hard to save up the cash. 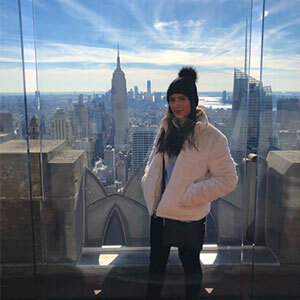 With an office full of travellers and counselors, we’ve had our fair share of saving and budgeting for trips over the years so if you’re desperate to save up for the trip of a lifetime, keep reading below! You see a piece of clothing you just have to buy, it’s calling your name, but you have to stop and think. Is this more important than my trip to America? Probs not! Prioritising your spend is one of the first steps to saving up for the trip of a lifetime. Take a look at all the things you buy over the month and think about if you really need to spend your money on these items. If not, put the money away and save it! Nights out are fun, but not as fun as exploring a new country, completing your bucket list, and gaining new experiences you can’t get anywhere else. Nights out can be expensive with the drink, entry, and taxi. It all adds up. Save up for the trip of a lifetime by cutting down on the nights out, saving up that money, and chilling at home. Trust us, you’ll thank us later when you’re chilling on a beach in the US of A! To really get motivated and save all the money you can, download a money saving app! Most apps around will show you exactly how much you are saving and set you a goal for each month. Some apps even cancel your unused subscriptions for you which is super handy. Keep an eye on how much you save and really get excited when you reach your goals! Some apps we recommend are Qapital, Claritymoney, and Monzo. With all the money you save, put it into a separate savings account. This means you won’t be tempted to dip into the money you’ve saved. Top tip: Make it your mission to put at least a pound a day into your savings account. It really will add up! Your money will be safe and sound in your account, ready for you to take out when it’s time for your trip of a lifetime. Once the money comes rolling in, you’ll soon see that the trip of a lifetime can be a reality! Whether you’re planning on going to Summer Camp for the first time or going a Trek America trip after camp, you’re going to make it this summer. Ready to get started on your trip of a lifetime? Click below.